If you’re going to be a home seller in the Cowichan Valley this year you may be in for a bit of a shock. Real estate agents now are regularly seeing bidding wars, and prices have soared over the past year with Single Family Homes having risen in value as much as 18%! The simple fact of the matter is there aren’t enough homes for sale. How do you price in a market like this? If you’re in a particularly hot neighborhood, it can make sense to price your home slightly lower than market price, have a Realtor Open House and then a Public Open House over the course of a weekend, and then let the Real Estate community know that you will look at offers after the weekend. 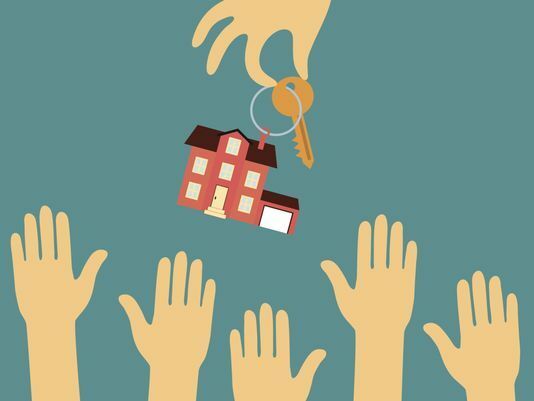 This is a relatively common tactic that draws droves of interested buyers who are willing to bid against each other using escalation clauses to make their highest and best offers. There are often reduced or eliminated “Subject To” conditions in these offers, meaning that as a seller you’ll not only maximize your price and likely sell for well over your ask price, but you’ll also likely get to dictate closing terms. However, for this strategy to really pay off, you need to be in a hot area with a hot property, where you can reasonably expect multiple offers within days of listing but that’s not going to work everywhere. Another successful strategy is to do your research and price right at fair market value. This is the most common strategy we see, and it’s one that often still results in multiple offers. It also has the benefit of telegraphing exactly what you think the home is worth and how much you’re expecting. And if you do get multiple offers, you’ll likely still get favorable terms for closing. Some say a home in this market will sell itself. That’s true, but only if it’s priced strategically, staged well, photographed professionally and marketed properly. That’s why it’s important to pick the right real estate agent. If you’re like most sellers, you’ll also have to buy in this market. Therein lays one of the most significant problems we face today. There are several ways people manage it. And this is where working with an agent that’s experienced will be doubly important. If you need the equity from your sale to make a competitive offer, one common practice is finding temporary lodging after you sell, whether that means moving in with a relative or friend, or taking a month-to-month lease. The main advantage is you won’t have to put a “Subject To” your home-sale in your offers, but you’ll have to move twice in quick succession, and nerves can fray in a temporary situation, particularly if you’re moving in with someone. One alternative is to negotiate a lease-back when you sell, which is where you rent your own home back from the buyer for a specified amount of time. You won’t have to move twice, and you’ll have the equity you need to make strong offers. In normal markets a buyer would likely not agree to this scenario — but in this market, you may have the leverage to make it work. If you want to buy your new home first, you could take out a bridge loan, a short-term loan that lets you cover that gap between buying your new home and selling your old home. That way, you won’t have to write a home-sale condition into your offers, making them far more competitive. Another way to buy before you sell is carrying two mortgages for a time. It requires a lot of capital or “Bridge Financing”, but also gives you maximum flexibility. Hire a solid and experienced agent to work on your behalf making sure you’re pricing it right and navigating effectively the selling and buying of your Real Estate. The real estate market in the Cowichan Valley is challenging, even for sellers and that’s why it pays to come to the market prepared and knowledgeable with the right agent in your corner. Call one of the Professionals at The Johannsen Group today and let’s go to work on selling your property the right way for you.